Who does not like food? Many of us only think about food on most days. It is a basic need and we don’t like starving ourselves, don’t we? Then, there is social media, the online craze that took over our lives for good. Can you still remember what life is like before Facebook came? For most young people, their memories are vague and they can’t really relate to life in the 80s, 90s and early 2000 when life was simpler and less complicated but may be considered a bit boring too by today’s standards. With the advent of the web came exciting and novel opportunities that we never thought possible. Not only did the Internet and social media improved communication lines but it also created a buzz that continues to keep buzzing until now. The life that we used to know vanished and was replaced by something more dynamic and continually innovating. New trends come and go but some surprisingly stay for such a long time. We are constantly surprised with new discoveries that set the pace of life. Social media has a lot to do with it as most people consider their smartphones as one of their most prized possessions. Imagine that. Hence, no wonder entrepreneurs now take their business online, because that is where everybody is. They change strategies because they’ll be left behind if they don’t adapt soon. Now, who would’ve thought we can also order our food through Facebook, one of the most powerful and influential social media platform in the planet? 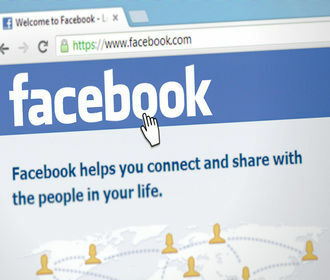 Facebook users in the US can now order food using the social network’s site and app. The company has been testing the functionality since 2016, and has now brought it to all users in the US, across iOS, Android and the desktop. It’s an unusual new feature that’s designed to keep people on Facebook for longer, and it wouldn’t be hugely surprising to see it come to the UK in the future. You can order a takeaway through Facebook by visiting the Order Food section in the Explore menu, browsing the options and hitting Start Order once you know what you want. You no longer have to drag yourself out of bed to get, make or buy something to eat. Simply ordering through Facebook can get you through one meal and spare yourself from doing the extra effort that cooking or ordering outside often entails. But since it is a new concept, your options may be limited for now but if you aren’t a picky eater you can always survive one meal at a time without even getting out of bed. You’ll be able to see which restaurants are available depending on your location and know details about their menu and hours of operation for maximum convenience. Starting Friday, Facebook users can order food directly from the iOS or Android app, or the desktop site. For its new ordering service, Facebook has partnered with delivery companies ChowNow, Delivery.com, DoorDash, EatStreet, GrubHub, Olo, Slice, and Zuppler, as well as restaurant chains Chipotle, Denny’s, El Pollo Loco, Five Guys, Jack in the Box, Jimmy John’s, Panera, Papa John’s, TGI Friday’s, and Wingstop. Seamless, one of the largest food delivery services in the U.S., is not one of Facebook’s launch partners for food ordering. And not every restaurant with a Facebook page offers delivery, so you might still need to go pick up your order. Look for your dining options by going to the Explore menu (the three-line hamburger menu on the lower right corner of the screen on the app) or on Facebook.com and choosing the Order Food option. Nothing spells comfort and convenience like this. Food and Facebook is definitely a great match and has made our lives so much easier. There is a big catch, though. It only works for US residents as of now. So, just keep on dreaming for everyone who does not live on US land. But once this plan works, it will likely be used in other countries as well. Consider this as the alpha and beta stages. And this will probably be a big hit as many people are addicted to Facebook, and of course, we can’t live without food. Facebook is projecting a one-stop-shop image for its brand by providing users everything they can ever need and we can surely expect more great things (original or not) from them in the years to come.